We are excited to announce our 16th Annual IndiaFest! IndiaFest is a way for PBIA to display the rich, ethnic, and cultural diversity of India. This festival has become one of the premier events to occur in South Florida, with over tens of thousands of people attending every year. Hosted by the Palm Beach India Association, a non-profit organization, IndiaFest is driven each year to help enrich the community and serve the people. IndiaFest is a free event that is held outdoors and is open to everyone. The festival will be held on Saturday, February 16th, 2019 at the Meyer Amphitheater in beautiful downtown West Palm Beach. 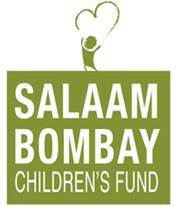 Salaam Bombay Children’s Fund collaborates with programs that work with “at risk” children in urban slums and disadvantaged rural villages. Our programs focus on building awareness, self-worth, aspiration and job-related skills. Children are motivated to stay in school and develop skills to better their futures. The students at Conniston Middle School in West Palm Beach, Florida are excited to be supporting Water For People, an organization that is working to bring lasting access to safe water and sanitation to 4 million people all over the world. Our goal is to raise at least $5,000 to help students just like ours, live longer, happier and healthier lives in the places where Water For People works, like rural India, thanks to access to safe water. If you are interested in showcasing a performance at IndiaFEST, please read the rules for participation and fill out the “Participation Registration Form”. IndiaFest is looking for stall/vendors that will further strengthen the cultural image of India and help us present India’s different forms of art, crafts, music, food, etc. Detailed sponsorship packages for IndiaFEST 2016 are now available for download. IndiaFEST showcases vendors that represent all aspects of the rich culture and heritage from India. Enjoy a variety of delectable Indian cuisine, browse through Indian garments, handicrafts, jewelry and much more.